Every year, Universities Canada publishes a round-up of researchers at Canadian universities who have won major international research awards. 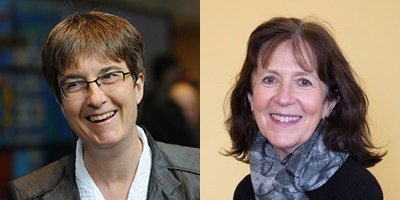 This year, philosophy professors Margaret Morrison and Cheryl Misak are two of the researchers profiled, each for their receipt of a Guggenheim Fellowship in the past year. These researchers “exemplify the creativity and dedication of Canada’s research talent… [and] demonstrate why Canada is increasingly a partner of choice in international research collaboration,” writes Nobel Prize winner and retired Queen’s University Professor Art McDonald in his introduction to the publication. You can view the full publication on the Universities Canada website. Congratulations, Professors Misak and Morrison!